The Houston Rockets are good enough that they can give about 80% effort and win about 80% of their games. This was on display against the Brooklyn Nets, a bad but frisky young team that tends to play up to high-level opposition. 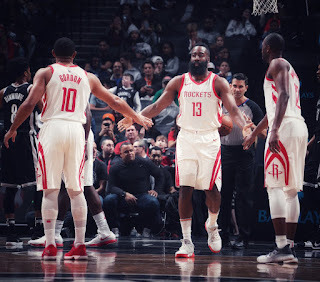 The Rockets came out looking like they thought it was a scrimmage, and ended up doing just enough to win by double digits.The Nets put up a good and fun fight, but they just didn't have the talent to hang with the Rockets. It's just another day at the office for James Harden and friends. Winning has become de rigueur for this Rockets team. They sit at 39-13, the best mark ever for their franchise at the 52-game mark. The number itself is very impressive. The fact that they clearly aren't straining themselves to topple lesser teams is even more so. This team, when not healthy, is a tough out on any given night. When they are healthy? They're damn near unbeatable. Even when a team like the Nets grabs the lead during the third quarter, there's little doubt in how the game will end up. We've seen this movie many, many times. And so have they. The only dark spot on this game was that Ryan Anderson twisted his ankle early, leaving the game and not returning. He wasn't ruled out immediately, and allegedly he could have played on it had they needed him to. It's the latest in a seemingly endless string of injuries for the Rockets, but for what it's worth they do seem to be lessening in severity. He's unlikely to play tomorrow against the Miami Heat, but seems unlikely to miss very much time. There's not much to say about a team that has the system down the way this one does. James Harden cooks people. Chris Paul Slices and dices them. The rest of the team provides ample heat, and the result is a nice hot win. 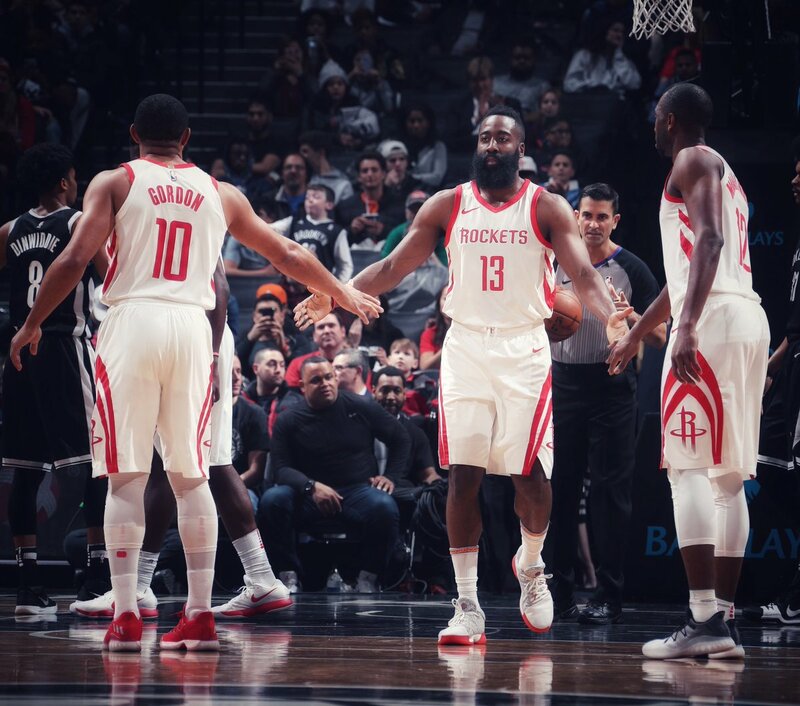 Harden notably scored his 15,000th point on the evening, ending with 36 points on 11-23 shooting. Paul was lethal from deep, hitting 4-8 and ending with 25 points. Uh, Nene set a screen at the end of the third and nearly killed Caris LaVert with his chest. It was a nice, predictably day at work for the Rockets. They went at half speed in the morning, took a little nap, then buckled down and got their work done at the end. And the only player at above 35 minutes was Luc Richard Mbah a Moute, who is worth every penny of his ridiculously small contract. That's a damn good Tuesday in anyone's book. Next up: hump day.